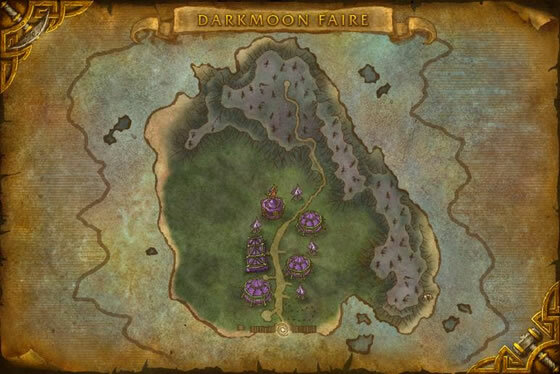 As of Patch 4.3, the Darkmoon Faire has moved to its very own zone. Tickets earned prior to the patch are unusable. The new Darkmoon Prize Tickets are obtainable through Darkmoon Faire profession-based quests, dailies, and turning in Darkmoon Faire Artifacts. Check out our Community Guide: Darkmoon Prize Tickets for more information. Great battler Headbutt & Healing wave make this guy hard to kill & packs a big punch. I use him when I'm not capturing anything. He will help me get to another battle faster. Turtles seem to be one of the weakest kinds of pets for PvP. Even the strongest Turtles(260 power) only have 100% to hit spammable attacks that hit for well below 300 damage. You need to force matchups to face pets where your attacks are strong to get the most out of the turtles. Three areas where Turtles can do less bad is. 1. Undead, aquatic racial and heal with powerball. 2. Elementals you can catch with Grasp. 3. Rabbits, use shell, bite and headbutt. Darkmoon kind is not very special. My favorite pet! I named mined Donnie for TMNT and is part of my main team for capturing wild pets. He was taking on full teams of L22+ wild pets when he was <L20. This pet is great! I originally got him so I could parade around on a turtle mount w a baby turtle in tow. 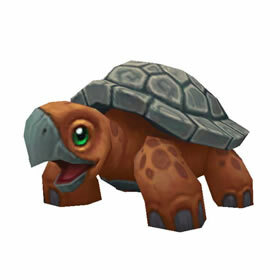 I want this one for when I finally get my sea turtle mount (must be like 10k catches now but not giving up!). Too bad I can`t use the turtle shell shield form archeology since I`m a lock. got this one today. Very, very cute. BTW checkout achievement darkmoon despoiler. The items listed there are the result of monthly repeatable quests and some you can buy in the AH real cheap. Only a few are really expensive. This can greatly speed up the process of obtaning darkmoon prize tickets. This was my first Darkmoon pet that I bought. I love his shiny shell. The only thing is...I have stared at him for hours...kept him out constantly and checked him out...I even asked party/raid members to tell me if they saw his passive animation....but I have NEVER seen him rear up and roar :( Has anyone seen this animation? Along with the Giant Sewer Rat and Speedy, I am hoping this little guy can help me start my own team of ninja turtles. This just makes me want to be able to take 2 pets out at once. Then I would name this one Mrs. Slowski and Speedy Mr. Slowski. I am so excited about this pet! I can't wait until 5.0 to name him.